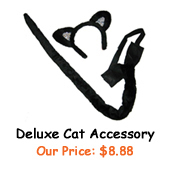 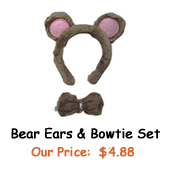 Description: Cat costume set includes black cat ears with white lining, tail, & bow tie. 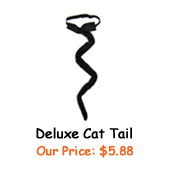 Tail is bendable & poseable. 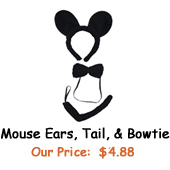 White elastic bands attached to tail & bow tie for easy wear. 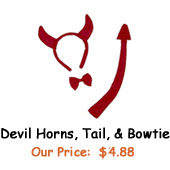 Tail's elastic band can be tied to a loop (e.g., belt loop) or attach to a belt. 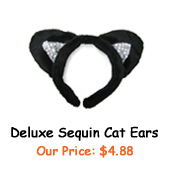 Cute party accessory kit to complete your cat costume!